Axis VFX has recently delivered 900 shots all together in 8 episodes for TV Series Happy. The new SyFy Happy TV Series is based on the graphic novel by Scottish writer Grant Morrison. Axis VFX, working in tandem with Axis Studios three creative sites across the UK, collaborated with showrunners Brian Taylor and Patrick Macmanus. Across the creation of Happy TV Series A CG character that plays a leading role throughout the season’s eight episodes. Axis was responsible for developing concepts, animation and final rendering, ensuring that Happy. Despite his cartoonish appearance, felt like a photoreal and believable addition to the show’s world. The effort, attention and screen time enjoyed by happy. Around 100 shots per episode is unprecedented for a CG character on a television show. 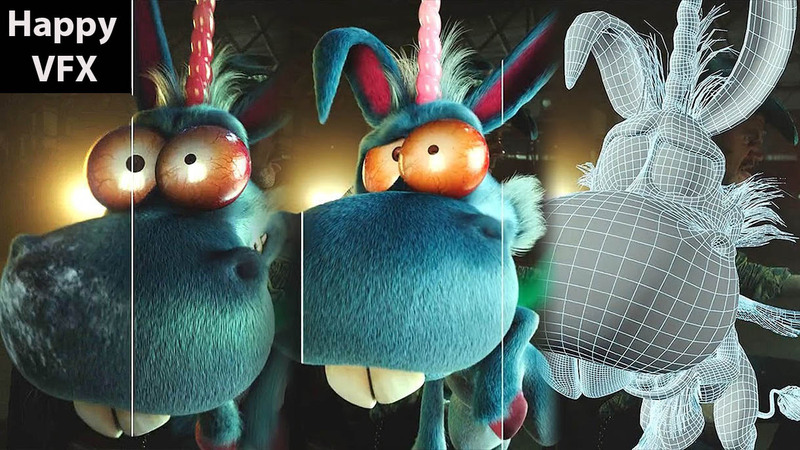 The team also lead the production of three 20-second marketing spots and produced animation of Happy for a series of bespoke promos for the show as well as an AR app, which enables users to see the character appear in the real world via their smartphone screen. axisVFX has previously worked on the Royal Television Society Award-nominated visual effects for the BBC’s Doctor Who. It’s artists are currently working on Aardman Animation’s Early Man,due for release later this month.